Sometimes you just need to see to believe. Watch ONEiO demo for superior customer service and client experience in service management space. See how ServiceNow, Jira and Zendesk are seamlessly integrated for efficient and transparent ticket handling. 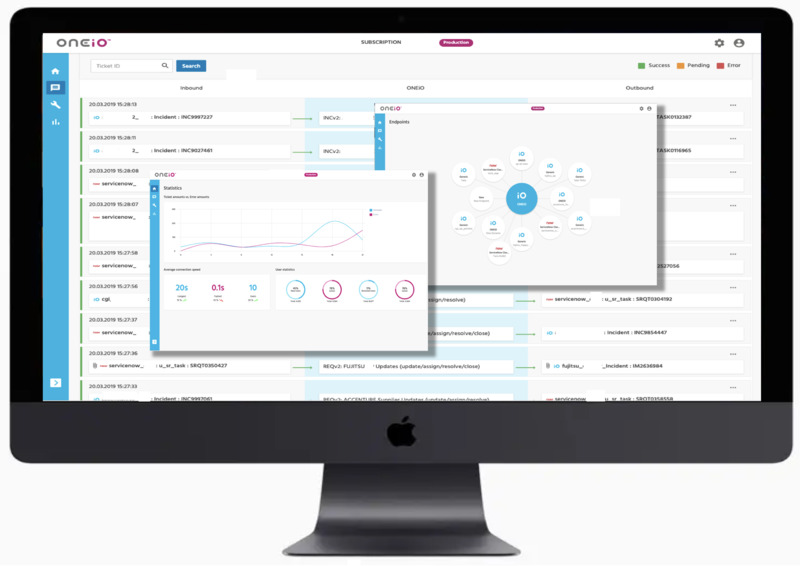 ONEiO fits integration needs for IT and Business Services such as ITSM, HR, Sales & Marketing, etc. We have loads of pre-integrated applications and service providers to be taken into use, just by subscribing to ONEiO. If your application/service provider is not yet integrated we will do that for you, free of charge of course. We provide a 30 day free trial to see how ONEiO works in practice with your own tools and applications or your service providers' applications. If you like to discuss about the ONEiO Service or possibilities to fit your needs just book a meeting with us!